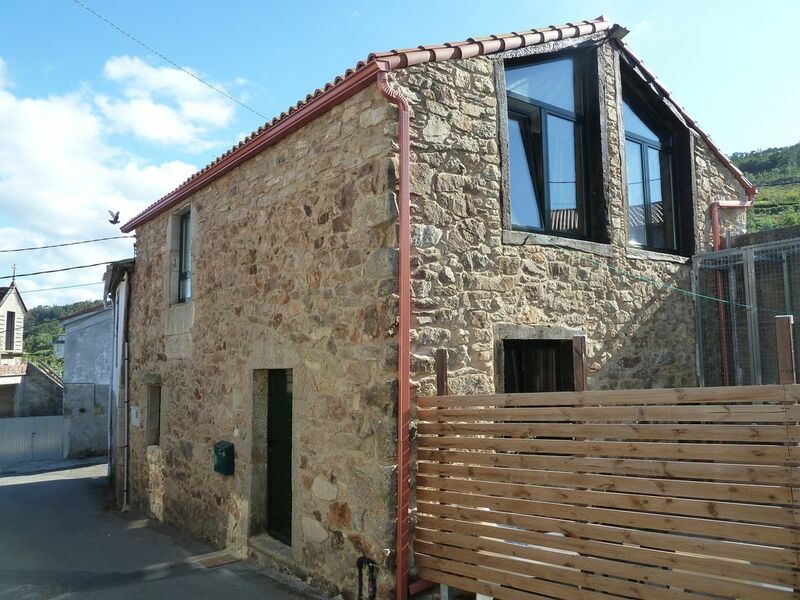 Newly renovated 150 year old stone house, the charming summer town Razo. The house is located 600 meters from one of Galicia's longest beaches and offers world-class wave surfing with two Surf Camps. Close to the forest and hiking trails in outstanding natural beauty. Hemos pasado unos días estupendos..!!. La casa es una maravilla.Tal y como se ve en las fotos y con unos detalles exquisitos. Cómoda, practica y funcional.La playa de Razo y las de alrededores son una maravilla...!! Gracias a Richard y Caroline por todo!!! wir hatten uns im haus wohl gefühlt, mit allen nützlichen ausgestattet und wirklich sehr liebevoll renoviert und eingerichtet, mit vielen dekorativen extras. die zimmer sind einfach, aber mit eigenen funktionellen bädern, Küche hat alles was man für einfaches kochen braucht, es war sauber. das einzige aber auch störende manko ist die direkt am haus vorbeiführende straße. im august ziemlich befahren, ab September ging es besser. mit surfboard zum strand zu fuß zu weit, man braucht ein auto, auch um die anderen wunderschönen strände in direkter Umgebung besuchen zu können. die Ausstattung des Hauses ist für diese gegend ungewöhnlich gut. Una estancia estupenda en Razo y en esta acogedora casa. Un poco más alejada de la playa que otras de alquiler del pueblo (unos 500 metros) pero con diferencia de las mejores en las que hemos estado en nuestros veraneos en Razo. Es moderna, amplia, muy limpia, muy completa y acogedora. The accomodation was exactly as described and simply great. The house has a nice lived in feel and is at the same time stylish. It is close to the beach and the sea. There are very peaceful and stunning beaches where we could surf and swim. We really had a very good time. Razo is a small village with stunning beach on the Costa da Morte. The coast has an unbeatable natural steep cliffs, beaches, small fishing villages. pine woods and fragrant eukalyptosträd. Vågsurf world class and a number of Michelin restaurants.